As the P5+1 and Iran agree to continue talks on a possible joint statement past a midnight deadline into Wednesday, the most contentious issue in Lausanne still appears to be how and when sanctions on Iran will be lifted. Virtually all the details of the negotiating positions of the two sides remain cloaked in secrecy. However, Middle East Eye has learned from an informed source in contact with negotiators in Lausanne that the core issue remaining to be resolved is whether the P5+1 will end some sanctions as soon as Iran has taken what it is calling “irreversible’ actions to implement the agreement. Iran has already made some significant concessions on the sanctions issue, the source revealed. Iran and the six-nation group, led by the US, have agreed that unilateral US and European sanctions as UN Security Council sanctions that related to Iran’s nuclear programme could be “suspended” rather than being lifted permanently at the beginning of the implementation of the agreement. The Iranian delegation is also not contesting that the UN Security Council resolutions that forbid assistance to Iran’s ballistic missile program and other military programs can stay in place, the source said. But the remaining bone of contention is that the six-nation group has insisted on maintaining the entire legal system of sanctions in place, even after the sanctions have been suspended, until the International Atomic Energy Agency (IAEA) has reached the conclusion that Iran’s nuclear programme is entirely for peaceful purposes – a process that it admits could take many years. US and European officials have been telling journalists on background for months that maintaining the sanctions architecture in place is necessary to ensure not only that Iran implements the agreement fully but also that it has no ambitions to obtain nuclear weapons. But Iran has pointed out to the US and European negotiating teams that it is being asked to carry out curbs on its nuclear programme that are effectively “irreversible”, and which should be reciprocated by the P5+1 with termination of some sanctions in each case, according to the source. The source gave examples of Iranian concessions which Iran argues would be irreversible if implemented, including the redesign of the Arak heavy water reactor the elimination of its stockpile of low enriched uranium and the ratification of the Additional Protocol by the Iranian parliament. Iran is demanding that the agreement include language calling for the timely ending of sanctions in response to the actual implementation in each case. Iran has agreed to redesign the Arak heavy water reactor, which the P5+1 had called a proliferation threat because of the roughly 10 kg of plutonium that it would produce annually. The redesign that Iran has agreed to carry out would reduce the output of plutonium to 1 kg per year, according to the source in contact with the negotiators. Therefore, expect the P5+1 to go beyond merely suspending sanctions to reciprocate the implementation of the agreement. A senior Iranian official told the International Crisis Group last June that the redesign of the Arak reactor would involve the replacement of calandria, the existing vessel that holds the reactor core, with a smaller one. The officials said it would take years for Iran to reverse that change and restore the original rector. 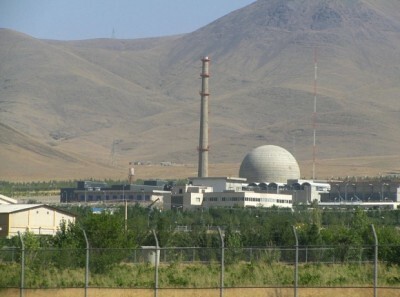 Frank Von Hippel of Princeton University, a former assistant director for international security in the White House Office of Science and Technology, confirmed in an interview with MEE that the agreed plan for redesigning the Arak Reactor does indeed involve the replacement of the calandria and is therefore, in practical term, “irreversible”. Von Hippel also said the Iranian agreement to reduce its stockpile of low enriched uranium to a very low level, on top of the reduction in the number of centrifuges to roughly two-thirds of the present operational level, would take about three years to reverse. Iranian negotiators are not that concerned about the P5+1 refusal to lift sanctions until Iran’s provides full information on the “Possible Military Dimensions”, according to the source. “The PMD issue is not a problem,” the source said, because Iran is prepared to give the agency all the access it needs as part of the agreement. The much more serious Iranian concern is the six nation group’s insistence that the IAEA must also verify the peaceful nature of the programme, as though the implementation of the agreement were not sufficient evidence. Iranian negotiators have pointed out to Western diplomats that the IAEA could take up to 15 years to arrive at a final judgment, as it did in the case of South Africa, the source said. A senior Iranian official told the International Crisis Group last November that IAEA officials, responding to Iran’s question about the time required, had refused to rule out the possibility that it would take more than ten years to complete its assessment of Iran’s case.